Since I first got my iMac I always wondered why the machine would suddenly just wake up from Sleep in the middle of the night. I didn’t touch it since at night I prefer to sleep (or else I must be sleepwalking). I initially found a way to fix this but it came up again with the update to Mountain Lion (which just reset the preference). 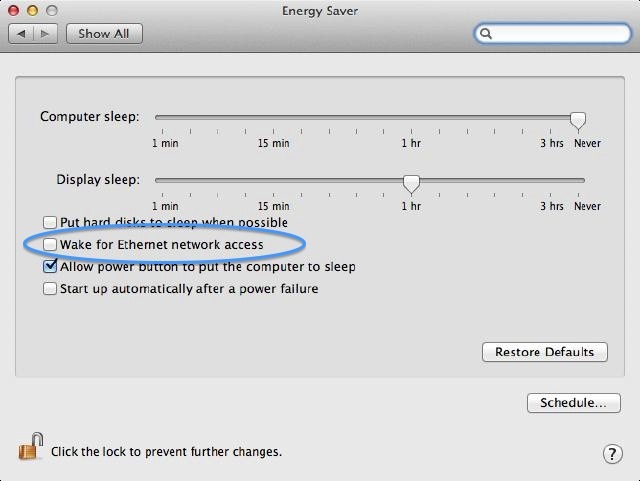 Go the System Preferences and hit Energy Saver. 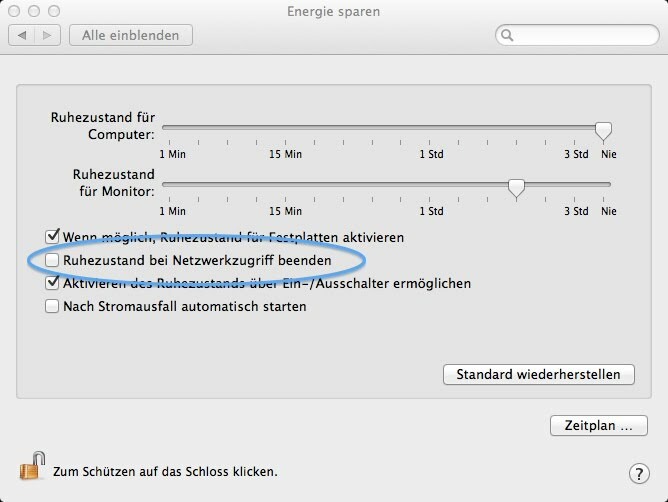 There you’ll uncheck Wake for Wi-Fi network access (in German: Ruhezustand bei Netzwerkzugriff beenden). I figured that must be the reason because at night my router automatically turns off wireless and just before I get home from work it turns it back on. For me it did the trick. Here are two images, one from my machine (in German) and one found on Google for an english machine.